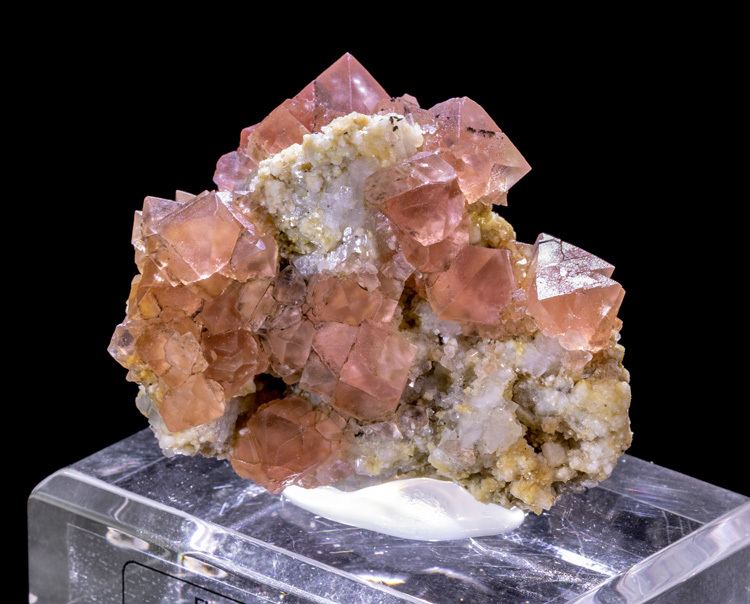 Pink Swiss fluorite is among the rarest and most valuable fluorite in the world, and this is an excellent specimen from an old Swiss collection. 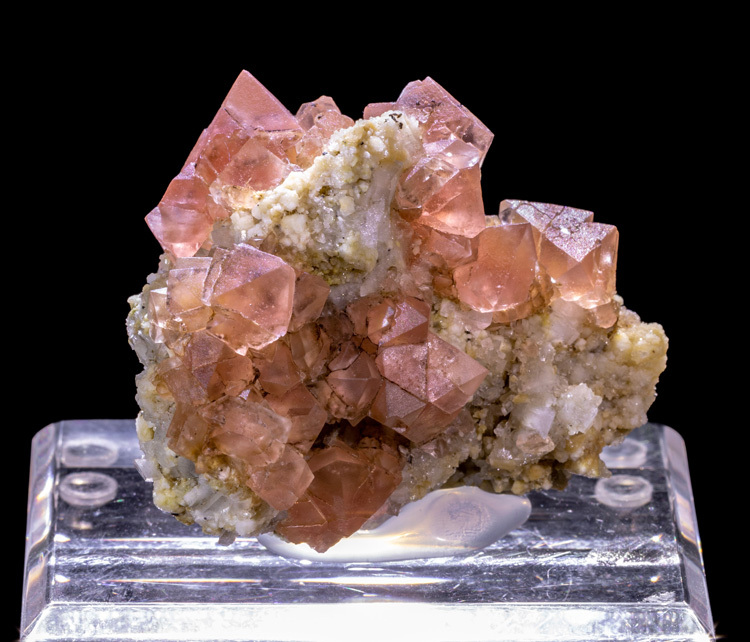 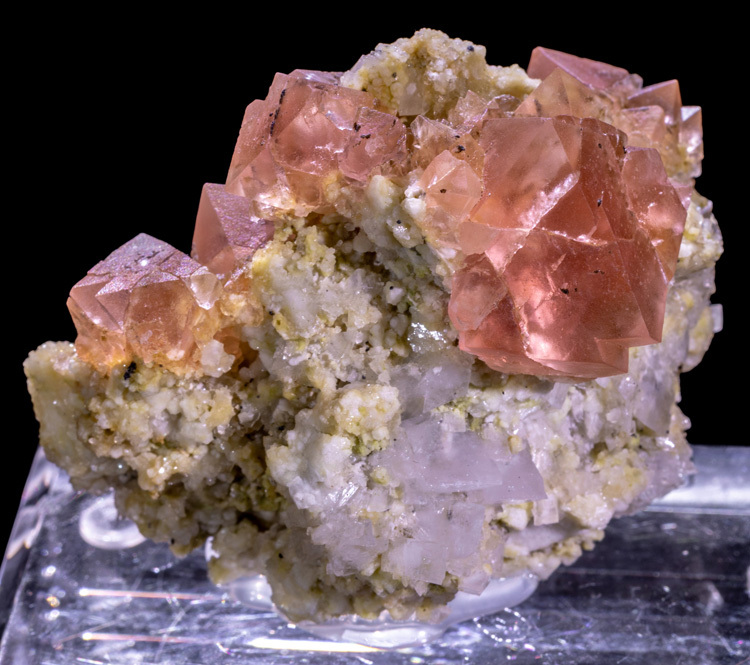 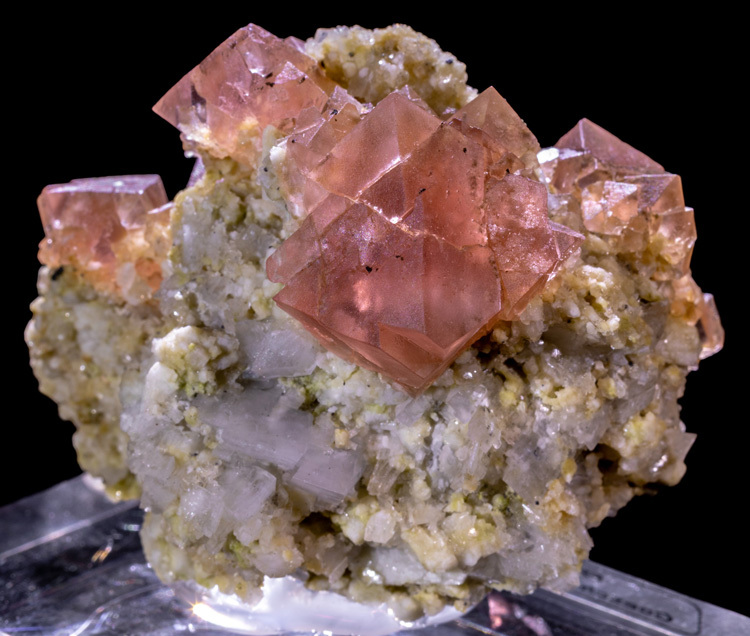 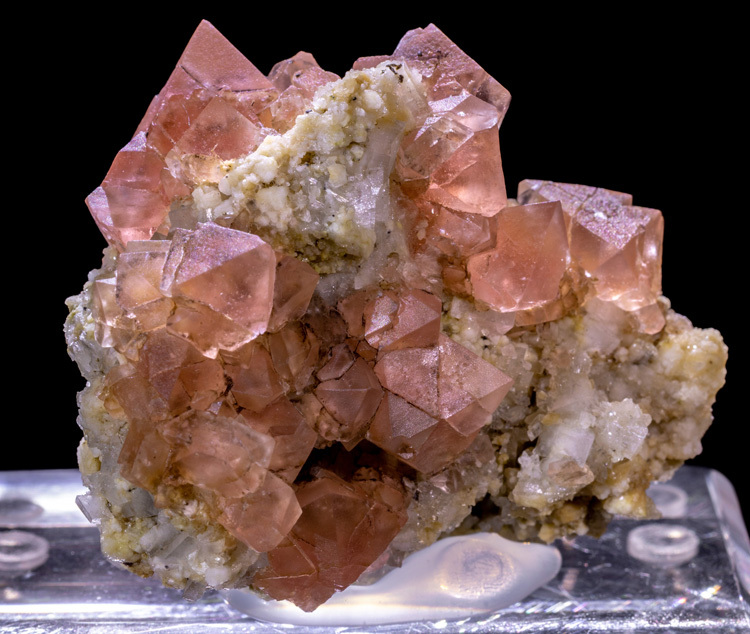 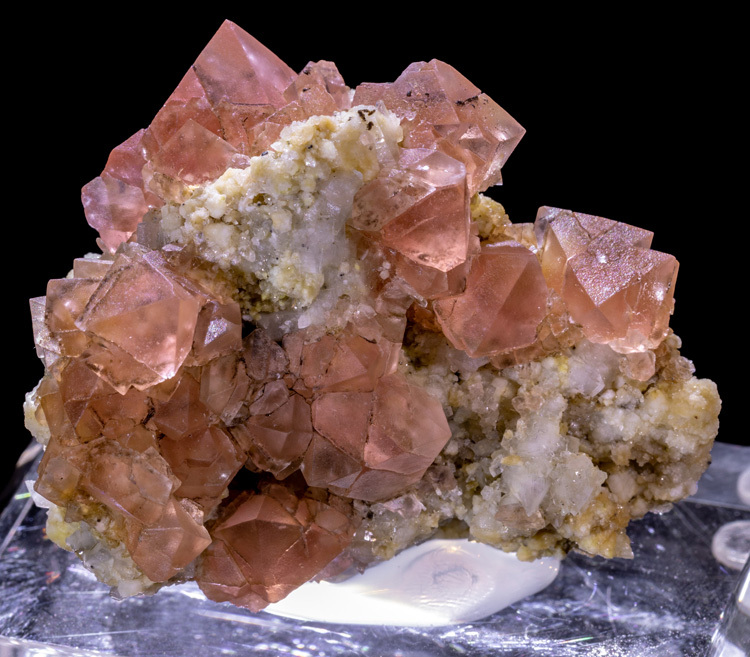 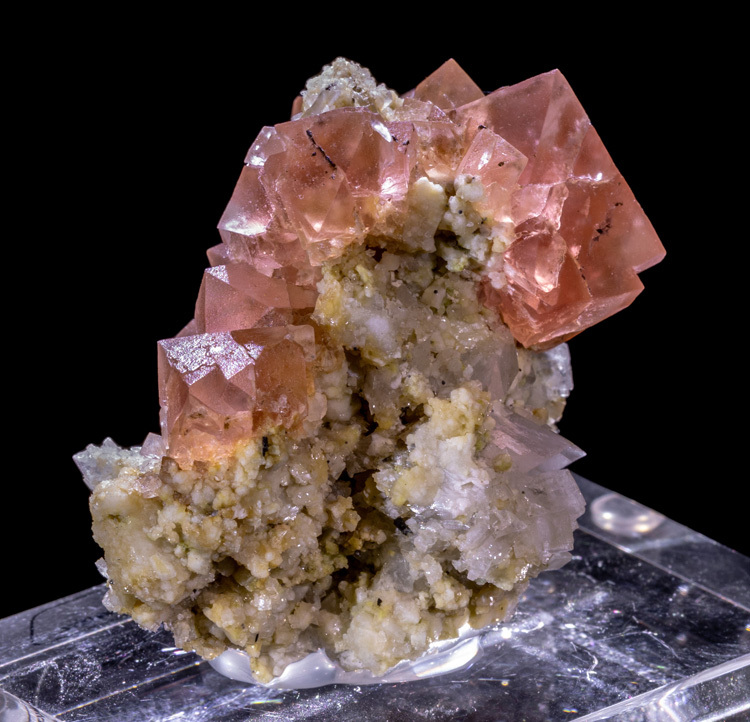 Here are well over a dozen pink, octahedral fluorite crystals growing on a matrix mostly comprized of Adularia which is a variety of Orthoclase. 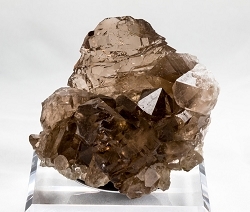 The Adularia is the white, somewhat tabluar, crystals that look a little like baryte at first glance. 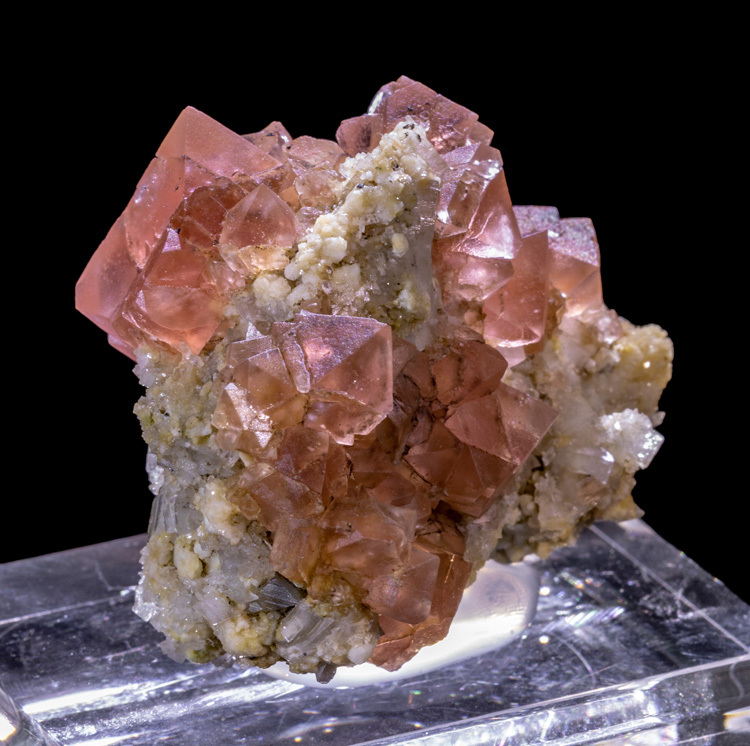 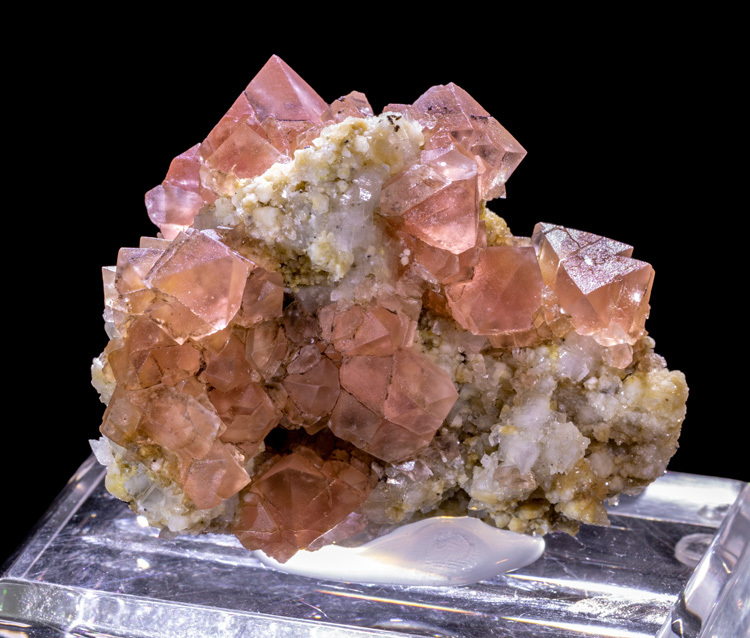 The pink fluorite surrounds the entire specimen, and the largest crystal is almost 2.4cm long. 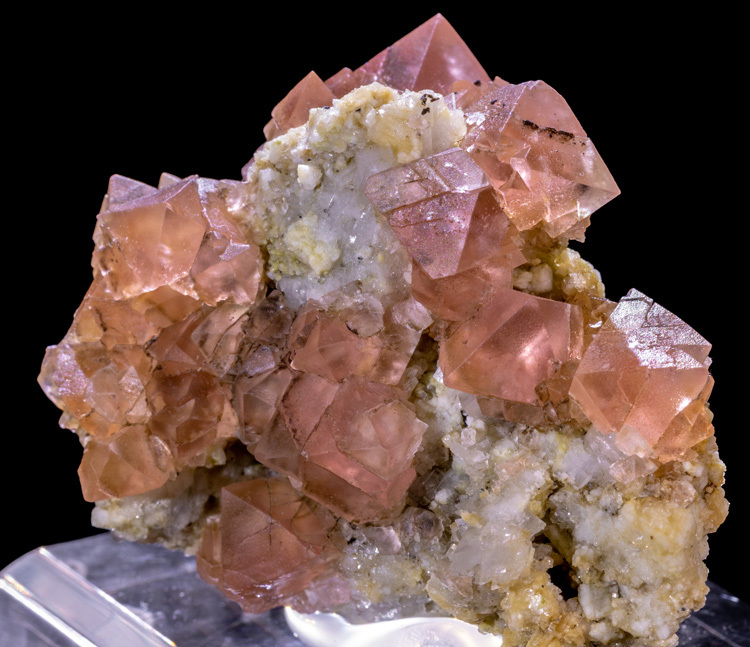 The specimen is in excellen condition with no significan damage to report. 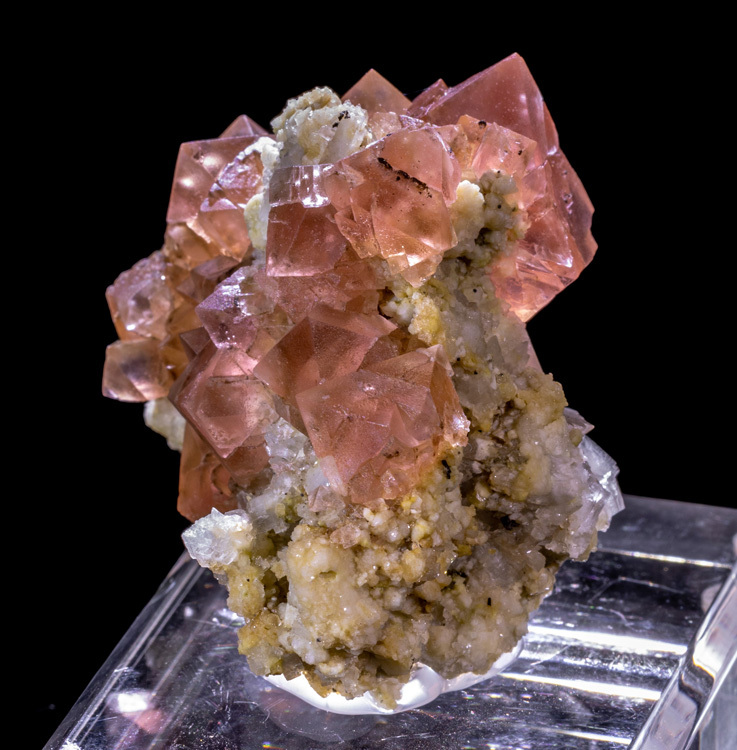 The specimen comes hot-glued to a labeled acrylic display base. 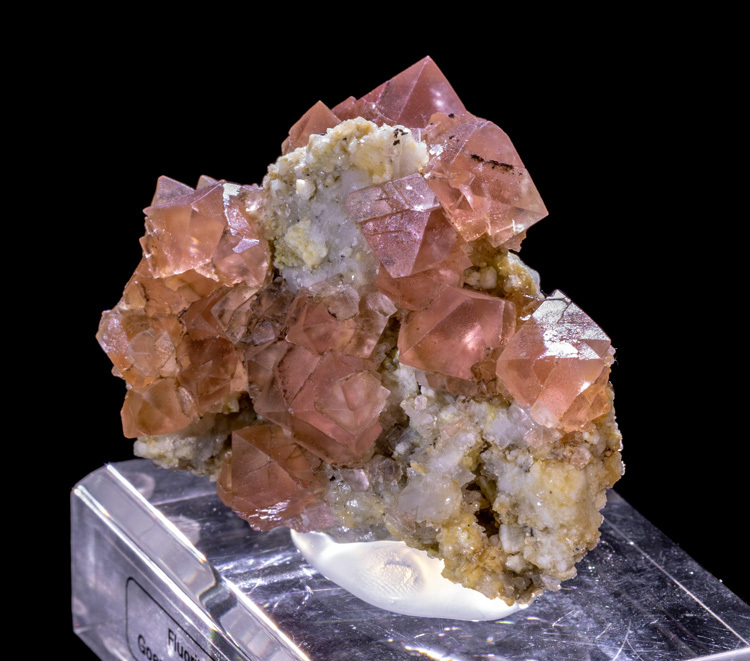 The glue can easily be removed with rubbing alcohol if you wish to remount it.